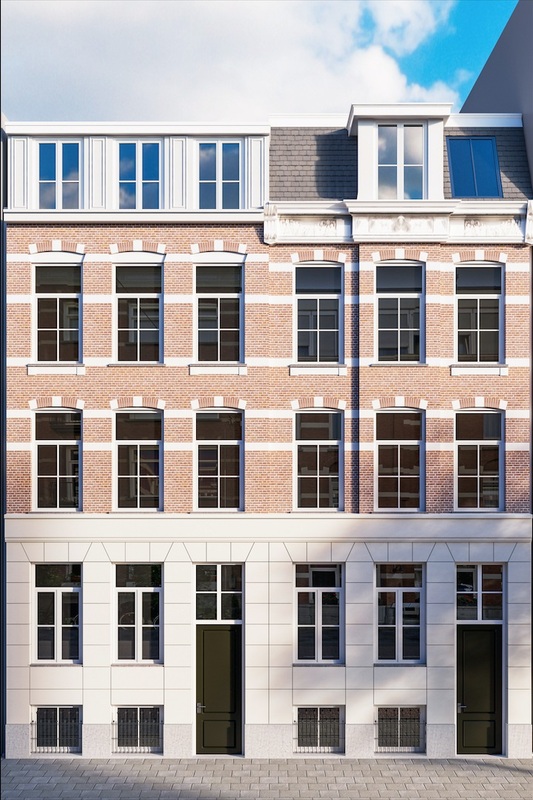 On the right side of the Nicolaes Witsenhuys, a double ground floor apartment has been realised of approximately 214 square meters, with a private entrance on the first floor, a spacious patio and a sunny garden. 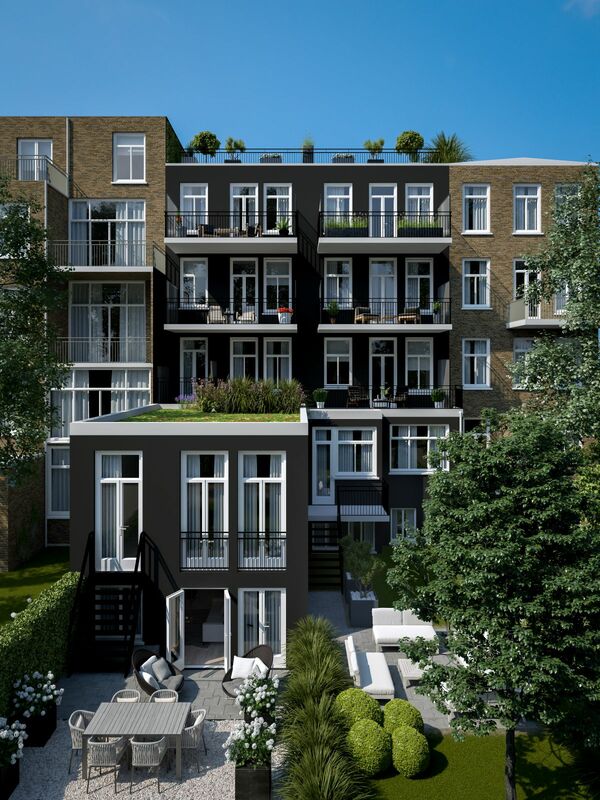 Upon entering via the entrance on the first floor, the exceptional depth of the apartment immediately stands out. This floor has space for, among others, a large study and, around the patio, an open kitchen and a generous living room at the back of the proper- ty, with French doors to the terrace. The ground floor contains three large bedrooms, of which two with a walk-in wardrobe. The master bedroom has an extra spacious bathroom with a bathtub and French doors to the garden and a view of the patio. 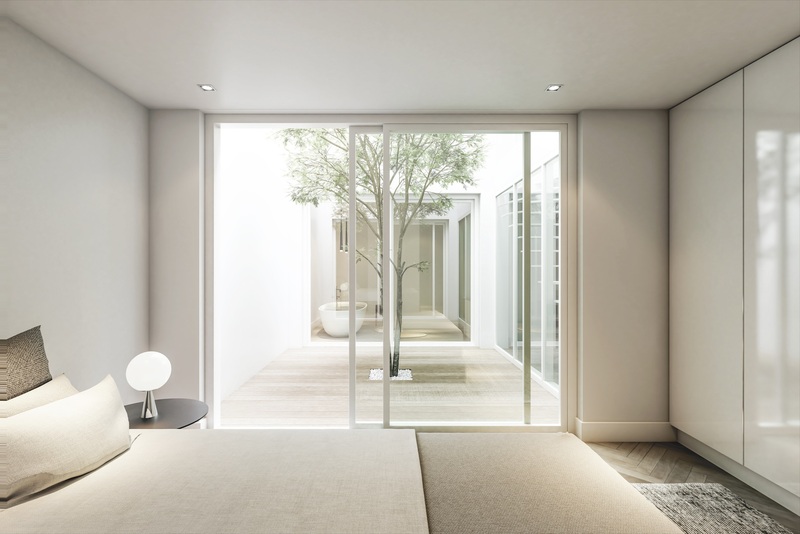 The bedroom in the centre of the ground floor also looks out on the patio, providing a generous amount of natural light. 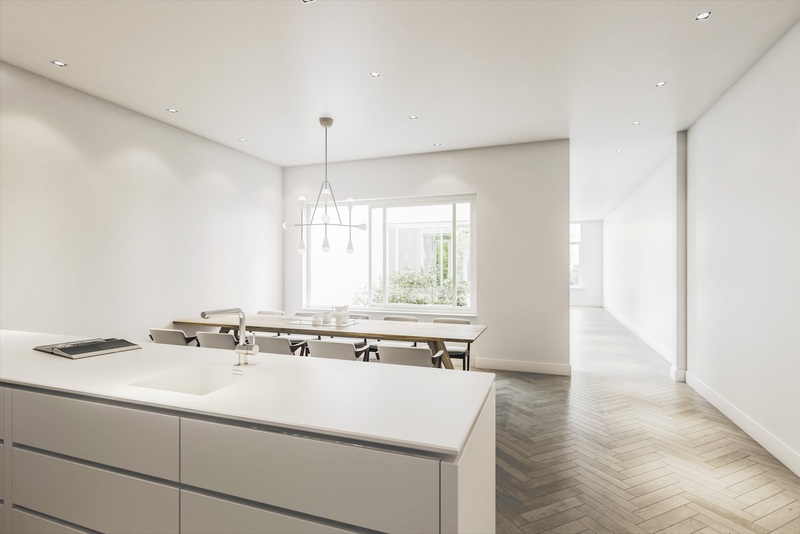 Smooth-finished plastered walls, herringbone wood flooring, large skirting boards and atmospheric gas fire, these are just a few beau- tiful details characterizing the Nicolaes Witsenhuys apartments. All residences are equipped with new installations for water, gas, elec- tricity and ventilation and also feature tailor-made cupboards, cus- tom washbasin furniture and a custom kitchen. In short: A unique residence for spacious comfort and the enjoyment of a large outdoor space.